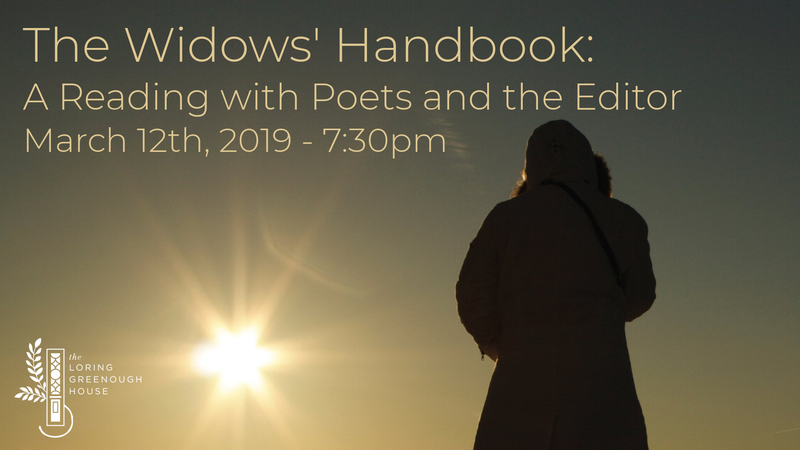 Join editor Jacqueline Lapidus with the poets of The Widows’ Handbook in a reading of this first-of-its kind anthology. With a foreword written by Supreme Court Justice Ruth Bader Ginsburg, this collection of poems will help all who have lost a loved one or is involved in helping the bereaved. The Widows’ Handbook includes the work of 87 American women of all ages and backgrounds whose partners and spouses have died. This stirring collection celebrates the strategies widows learn and the resources they muster to deal with people, living space, possessions, social life, and especially themselves, once shock has turned to the realization that nothing will ever be the same. It will be a stirring night of conversation, reflection, and sharing.